Is the rebuilding of the energy system towards renewables fair? Is it socially responsible? Is it sustainable? Our understanding of these issues has previously been hampered by a lack of robust knowledge. The Social Sustainability Barometer project closes this knowledge gap. It reveals the attitudes, concepts of justice and experiences of different sections of the population, and identifies associated challenges, risks and prospects. Citizens, civil society and players from the fields of politics, industry and science were called upon to help determine the criteria which define a socially sustainable energy system. The project also established an empirically viable database enabling us to monitor the energy transition from year to year. This information was selected from a panel survey of 7,500 households conducted by forsa.omninet and supplemented by a qualitative survey aided by focus groups. The results of the barometer will be published annually and presented and discussed at a conference every year. 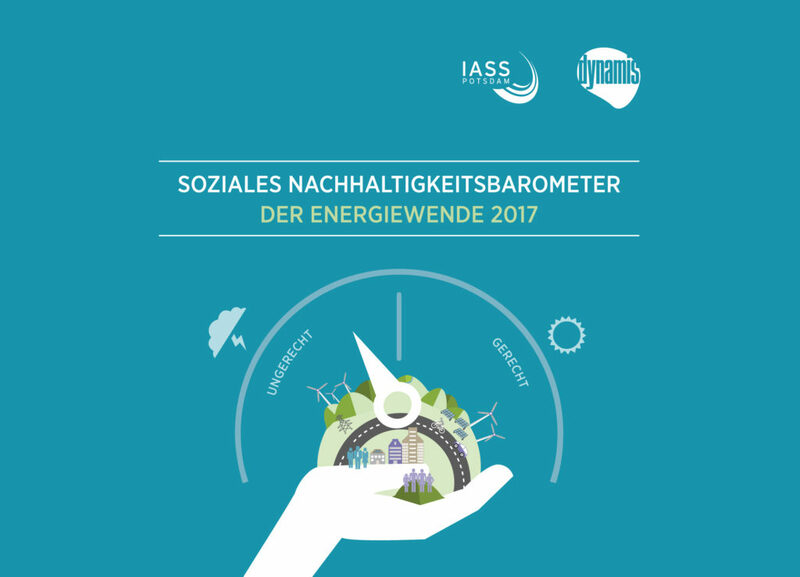 The barometer revealed that 88 per cent of German citizens – across all levels of education, income and political preferences, and in both cities and rural areas – support the switch to renewable energy. However, almost two-thirds of the population believe that the financial burden is not shared equally. More than 65 per cent feel that normal citizens bear the brunt of the cost while companies and the wealthy do not contribute their fair share – and, in fact, stand to profit. A broad majority wants those who consume more energy to pay a larger share of the transition costs. Almost half (49 per cent) of those surveyed are unsatisfied with the German grand coalition’s implementation of current energy policy. Furthermore, 84 per cent say the state should ensure that everyone in Germany has sufficient energy access. The approval of German citizens for the energy system transformation remains very high in principle. It even rose slightly from 88% in the previous year to 90%. Politicians can continue to count on support for an effective and socially just implementation of the energy system transformation. However, the issue of social justice in particular is intensifying and is subsequently causing growing discontent among citizens. Meanwhile, a cross-party majority (61%) is dissatisfied with the current energy policy – a significant increase over the previous year. The main points of criticism: The current political measures are not effective enough and socially unjust. Booklet Barometer 2018 available soon.